Bag: Adjustable hand straps. Double zip closure. One interior pocket with zip. Two further interior pockets. My third order from Brook Taverner and haven't been disappointed. Great quality and excellent service. Efficient service and no quibble on returns, good quality kit. 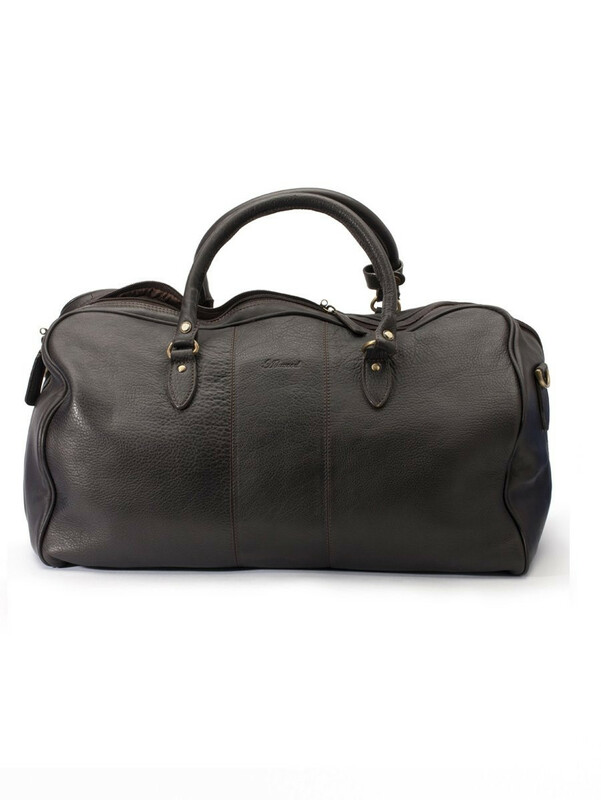 I ordered a leather holdall for a present for my husband. The order arrived within 2 days and the quality of the bag is excellent. I would recommend this company to anoyyone who wants good quality with excellent service at a fair price. I can't recommend this company enough, firstly every item i have bought is high quality, delivery is fast, customer service is first rate, polite and helpful with out being pushy in any way at all, and to top it all they reward you with point's you exchange for pounds to spend on every purchase . I bought a leather weekend bag for my husband's 50th birthday. He is absolutely delighted with it, the quality and finish is excellent. The shipment was slightly delayed, but after emailing the company to let them know, they contacted the delivery service to find out what had happened, then phoned me to keep me informed. It arrived in plenty of time for the birthday! Thank you very much. Speedy delivery. well-packaged and presented. Irritating response on the I.T. system - would not let 2 words suffice.